Cargo industry is facing serious problems over delivering the hundreds of thousands of new Apple iPhone over the globe. The serious cargo challenges have translated into high freight cost particularly in air freight bills. 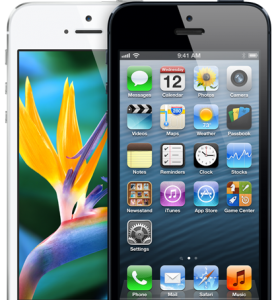 A report says that the production of huge quantity of Apple’s iPhone 5 has forced the transportation companies to change their strategies. Now the delivery firms have chartered certain extra planes. In addition to this, they are also cancelling the already scheduled flights and are focusing more on the training of their staff in order to complete the operation which they called “Operation iPhone Drop”. The Federal Reserve says in a report published over the quarterly health check of US economy, the air cargo companies have seen a significant increase in their delivering business as the number of new devices including smart phones and tablets is on higher side. These devices manufacturing companies prefer more the air cargo than any other modalities. This report says that average cost of freight from China to West has risen about 7% to $3.56 per kg between August and September. A market research analyst says that Apple has strongly affected this rise in air freight as other companies cannot afford this price hike and they are focusing more on transporting goods by sea. Federal Reserve has further added that at this time it is difficult to properly calculate the actual rise that Apple has caused in air freight rise. Keving Sterling who is a freight transport analyst at BB&T Capital markets, informed the market that Apple had chartered about 70 planes in order to deliver the iPhone smart phone over different parts of the world. He also predicted that in one week or later the prices of air freight will touch $5 per kg due to increased demand of this smart phone all over the world.